Previous research on the effects of online peer support on psychological well-being of patients with cancer showed mixed findings. 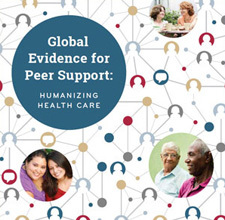 There is a need for longitudinal studies explaining if and when online peer-led support groups are beneficial. How patients cope with emotions that come along with the cancer diagnosis might influence effectiveness of online participation. Emotional approach coping is a construct encompassing the intentional use of emotional processing and emotional expression in efforts to manage adverse circumstances.